REGION — The city of Carlsbad is mulling an invitation to join Encinitas, Solana Beach and Del Mar’s 7-year-old fire-services cooperative. The cities estimate that they’ve saved at least $350,000 a year by sharing the cost of labor of deputy chief, battalion chiefs and a fire chief. In December, the Encinitas City Council directed City Manager Karen Brust to reach out to Carlsbad interim City Manager Kathy Dodson to assess the city’s interest in joining the group and directed Brust to delay the recruitment of a new fire chief to replace Mike Daigle, who recently retired. Brust met with Del Mar and Solana Beach’s city manager a day later to tell them of the development and spoke with Dodson shortly thereafter. Since those meetings, however, Carlsbad has announced the hiring of former fire chief Kevin Crawford as the city manager. Crawford is expected to assume his post in mid-February, and could play a role in whatever decision Carlsbad makes in regards to the future of its fire services if the negotiations are not completed before he starts his new position. 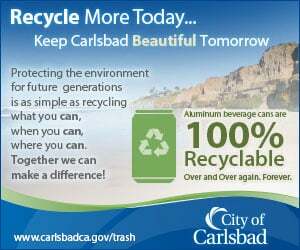 The Coast News has reached out to the Carlsbad officials for comment, and will update the story with any further comment. Encinitas, Del Mar and Solana Beach’s Fire Management Services Governance Board met on Dec. 21, 2015 to discuss the fire chief selection, and Solana Beach and Del Mar’s representatives expressed concern with delaying the fire chief recruitment, and instead asked Encinitas to pursue the recruitment and Carlsbad inclusion concurrently. The Encinitas City Council is expected to vote on approving this strategy at Wednesday’s meeting.